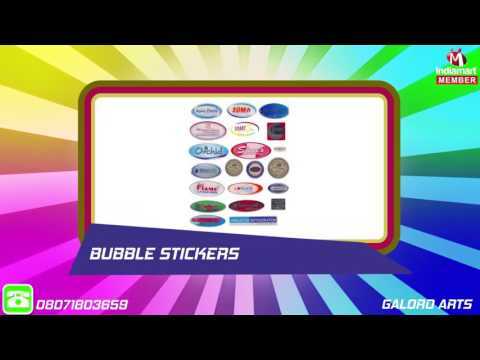 Established in the year 1988, we, 'Galord Arts', are a trusted firm involved in manufacturing and supplying an exclusive range of Stickers and Seal Labels. The range offered by us encompasses Membrane Keypad Stickers, PVC Stickers, Metal Stickers, Polyester Stickers, Gumming Sticker and Price Stickers. In addition to these, customers can avail Bar Code Stickers, Self Adhesive Stickers, Seal Labels, Paper Stickers, Transparent Stickers, Corporate Stickers and many more from us at industry-leading prices. All our products are manufactured by a team of creative experts keeping in mind the needs and preferences of clients. To meet the diverse needs of patrons, we offer our entire product-line in different sizes, shapes, colors as well as in customized form.